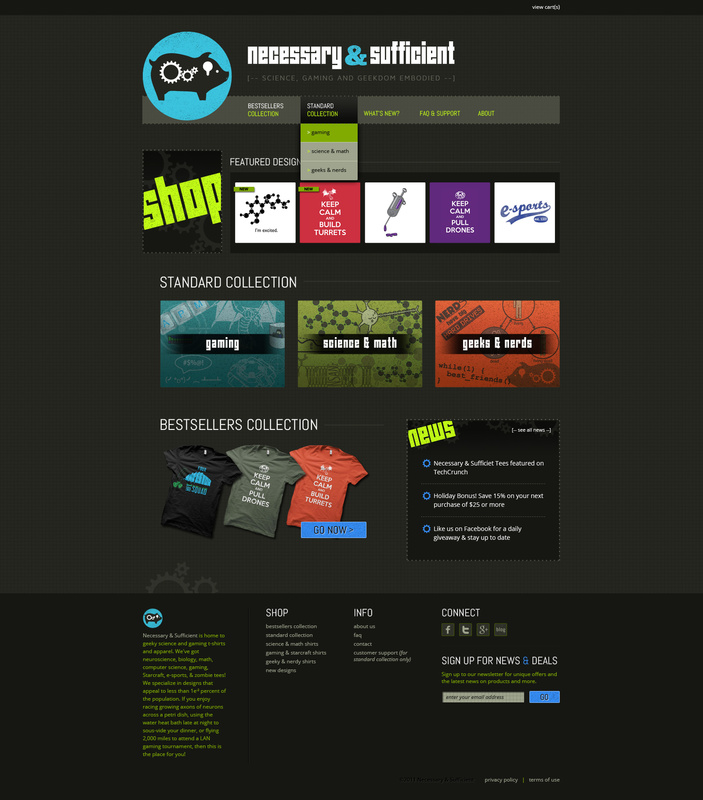 Necessary Sufficient sells geeky science and gaming t-shirts, hoodies, and gifts with “designs that appeal to less than 1e-2 percent of the population.” I was provided with a logo and redesigned the homepage to appeal to their target audience. The layout was also re-conceived to improve sales and feature new products. I coded the front-end of the homepage; the back-end of the site and secondary pages were built by their developers.